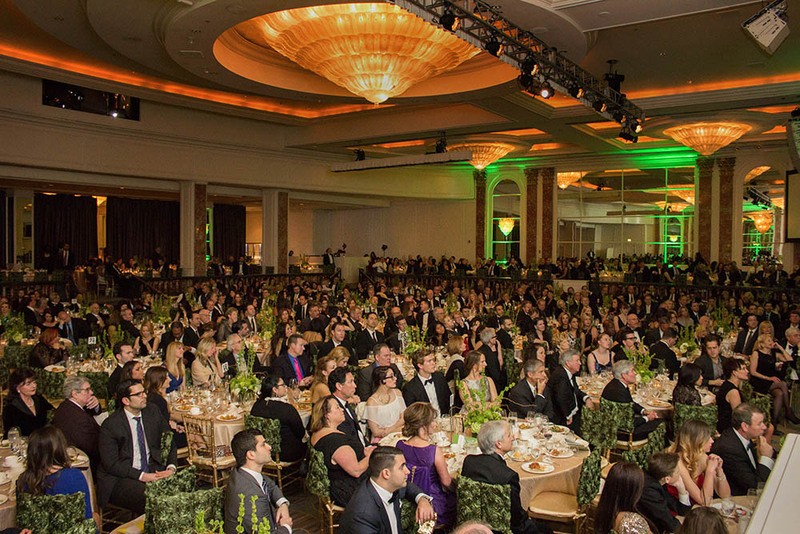 Check out our gallery of photographs that we took at the 2015 CAALA Gala on Saturday, January 17th, 2015. The entire gallery of photos is featured on the side panel of our blog or you can see them on our Facebook page. Enjoy! The advantages of digitally presenting evidence to a jury exceeds just visual appeal, smooth transitions and clearer viewing. With a kill switch, the attorneys are given the ability to “kill” the screen that displays exhibits to the jury. This permits the judge, counsel and witness the ability to review non-admitted exhibits on their monitors and have the witness testify as to the foundation of an exhibit, all out of the viewing presence of the jury. The jury sees and hears the testimony, they just don’t see the non-admitted exhibit. Once proper foundation for the exhibit exists, the judge then allows the exhibit to be published to the jury. With a simple flip of a switch, the now admitted exhibit is instantly displayed on the jury’s monitor or screen. 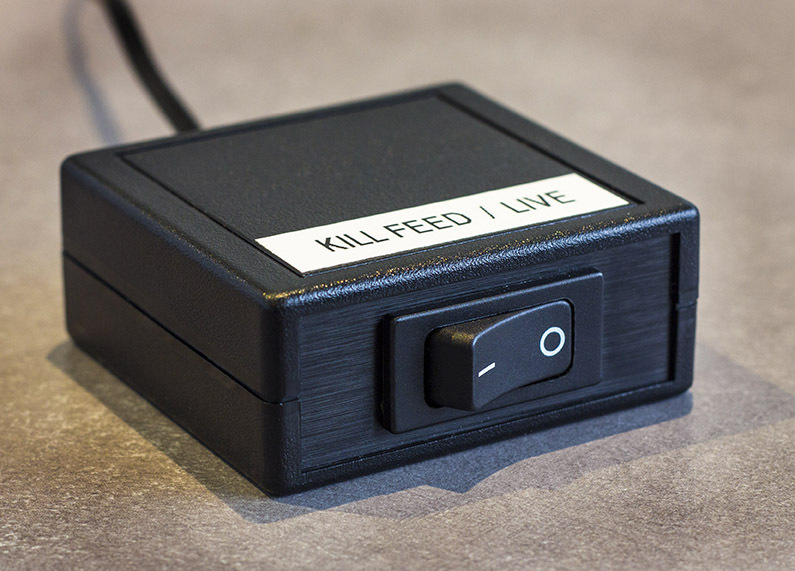 A jury kill switch can be implemented in several ways, including with the use of a more complex matrix switcher or a simpler 2 channel VGA switch. The simpler method is to insert a switch between the presentation signal and the jury’s monitor or projector. When you activate the switch, it interrupts the signal going to the jury’s monitor. When you deactivate the switch, the signal to the jury’s monitor is restored. Some switches have the ability to be remote controlled which provides the most flexibility for the attorney or trial technician. The remote control function usually permits multiple remote switches to be connected allowing multiple trial technicians or the judge to operate the switch simultaneously, for the most flexibility. Presentation technology helps to expedite trial. In the instances that non-admitted exhibits need to be dealt with but cannot be shown to the jury, utilizing a jury kill switch allows the momentum to continue without having to resort to tedious binders. Every moment counts when it comes to trial. Generally speaking, lawyers can expect to encounter tedious elements of trial that seem unavoidable and ultimately prolong the process. For instance, the time that it takes to sift through numerous exhibit binders in document intensive cases. The correct planning and use of technology can be the difference of making a long trial a few days shorter. Even in instances of a 1 day trial, efficiency through the use of technology can be a significant advantage for the attorney and the client. Without the use of technology in document intensive cases, it is not only more demanding of your time, but also a momentum killer during trial. 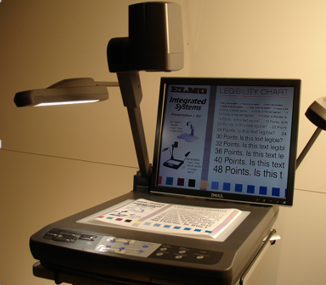 Typically, presenting exhibits electronically eliminates the need to pause and sift through exhibit binders or thumb through pages. This allows you to keep the examination flowing and in control. When a trial exhibit presentation database is built properly, the exhibits are immediately accessible and instantly presented on large displays for the judge, jury and attorneys. Oftentimes, displaying a trial exhibit requires typing in several characters or numbers to recall. A critical element in creating an efficient trial exhibit presentation database, is adding the ability to recall any exhibit with the fewest number of keystrokes possible. For example, to recall exhibit seven, typically you would type in 007-001 + enter, that’s 8 keystrokes. By removing all leading zeros and also the “1” (referring to page one) from the exhibit number, the number of keystrokes is reduced by over 87 % to 2 keystrokes, being “7 + enter”. Reducing the number of keystrokes to recall your exhibits reduces the amount of time to display your exhibits, while also improving reliability and greatly reducing the chance for mis-typing exhibit numbers. There are many ways to shave time off your next trial. Stay up-to-date with the latest from our blog for this series of articles. CVisualEvidence offers competitive advantages on all levels of service, even when it comes to equipment rental and installation. The last thing you need to worry about is hardware. 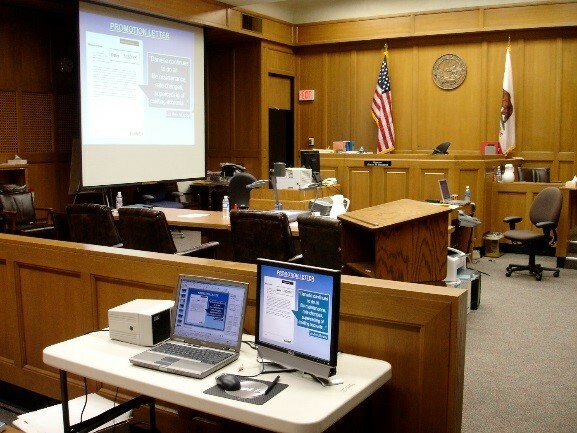 CVisualEvidence rents sophisticated and reliable courtroom presentation equipment to litigators. We always ensure that the equipment is in excellent working order. The equipment you need will be delivered, set up, and broken down by professionally trained technicians. 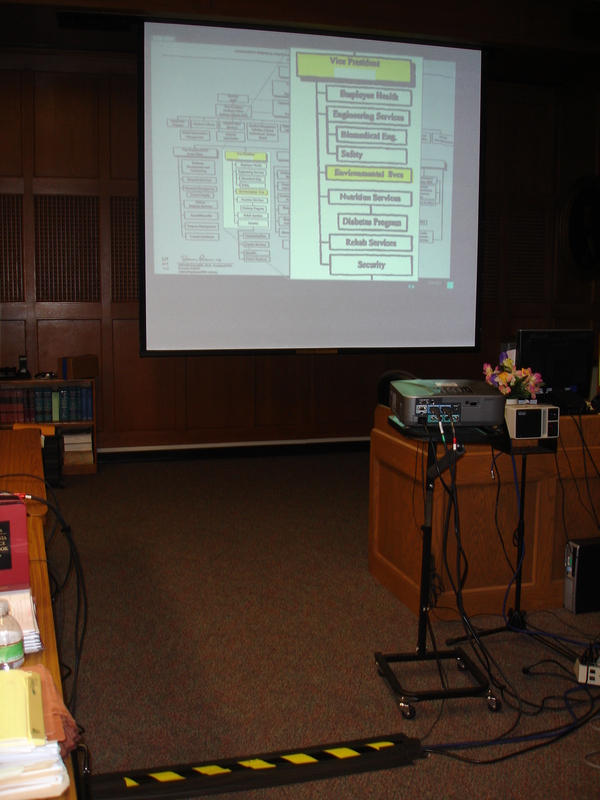 We own our presentation equipment and our equipment was purchased specifically for use in the courtroom. This means our projectors are small, very bright, and extremely quiet. Court Reporters often times do not even know when the projectors are running. Our projector stands have very small footprints that are required in crowded LA courtrooms with limited space. Our monitors for counsel have large 19” displays but also have a very low profile which reduces the risk of anyone’s view being obstructed by equipment. 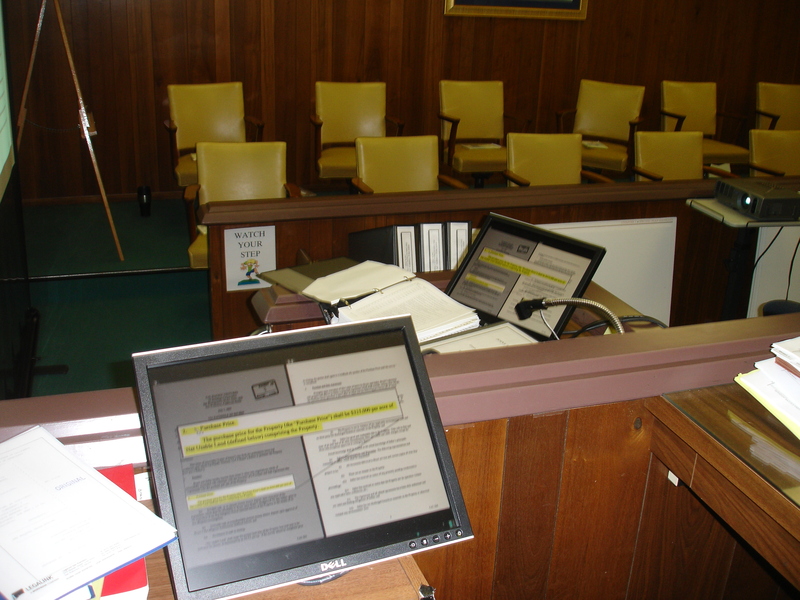 Pictured above left: Low profile monitor that does not obstruct the Judge’s view of the witness or jury. Right: Elmo Projector with monitor. In addition to our equipment design and features, we have a long history of serving litigators, particularly in Southern California. Our 32 years of experience has made us familiar with most courthouses in Los Angeles, Orange, Riverside, San Bernardino, San Diego, Ventura and Santa Barbara counties. 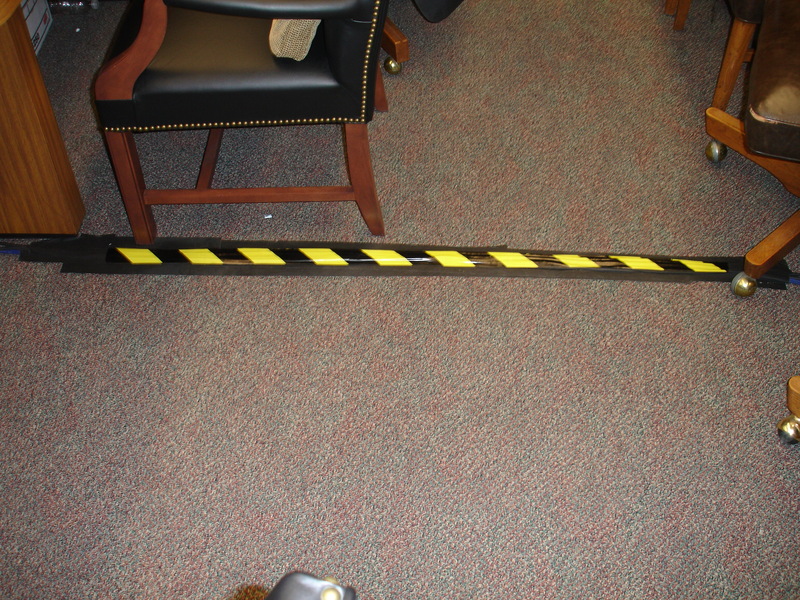 We know to use caution yellow tape to secure cords to the floor to minimize safety risk such as tripping. Law clerks are very pleased with us for being aware of this factor that most trial presentation companies do not even consider. Pictured Left: Caution tape used to secure loose cords running across walkways. Beyond room set-up, we are familiar with power requirements and when and where to load and unload. Every courtroom is different and every judge has different requirements; CVisualEvidence technicians work with the court staff to ensure setup is a seamless process. We want you to have every advantage possible going into trial. We are able to eliminate the guesswork and get it right the first time. CVisualEvidence can take care of all your equipment needs. We are reasonably priced and able to handle last minute requests. Contact us for a free quote. CVisualEvidence LLC edited the video/bus DVR footage and did sound enhancement for Panish Shea & Boyle in the representation of Maria Francisco v. AC Transit. In this bus injury case, the edited DVR footage was instrumental in leading to a $15.3 Million Verdict. Record $6.7 million settlement by Panish Shea & Boyle LLP against City of Oxnard in wrongful death police shooting case. 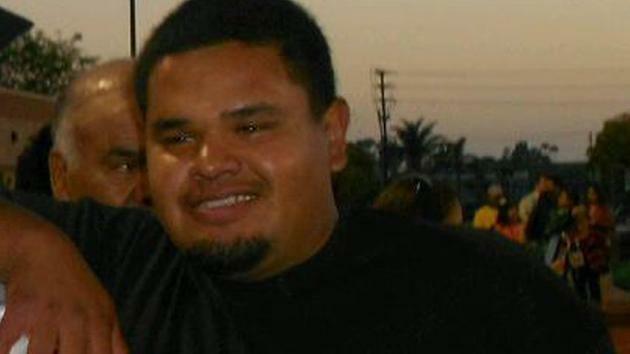 Oxnard police sets a commemorative day and pushes for body cams after this fatal shooting. CVisualEvidence LLC created a multi-screen video showing the shoot out and killing in this wrongful death police shooting case. Our video was instrumental in a record $6.7 million settlement by Panish Shea & Boyle LLP against the City of Oxnard. 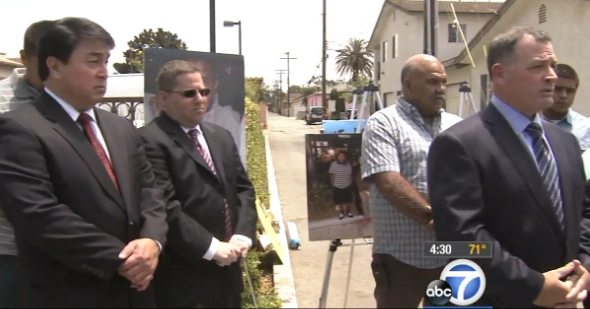 Family members react after a multi-million-dollar wrongful death settlement with Oxnard Police. Still wondering if technology in the courtroom is worth it? CAALA’s Annual Las Vegas Convention is the largest convention of trial attorneys in the nation. It features three and a half days of educational sessions presented by the nation’s most accomplished trial lawyers, jurists and legal consultants. The convention is an excellent opportunity to network with 2,000 attendees and over 100 legal service exhibitors all in one location. Our company, CVisualEvidence LLC, was able to make some great new connections and appreciate everyone who stopped by our booth. CAALA Annual Trade Show in Vegas at the Wynn Hotel. Pictured above: Laura Okey, Public Relations/Marketing Director and Brian Denny, Director of Video & Graphics Services. We are a full-service trial presentation agency headquartered in San Pedro, California. Litigators throughout California seek out CVisualEvidence for the sophisticated quality of work we deliver at reasonable rates. CVisualEvidence provides over 30 years of experience and a library of technology and presentation services to support your needs throughout the process of trial and litigation. Our services range from simple to advanced, whether you need a concise and visually appealing PowerPoint presentation or a compelling day-in-the-life documentary. We can even train you to become the expert and present from your own iPad. The possibilities are endless at our one-stop shop. Studies have shown that most people are visual learners, yet trial lawyers tend to be auditory or kinesthetic learners. A litigator who does not communicate in a manner that corresponds to someone’s learning style results in a disengaged audience. Furthermore, neuroscience demonstrates that when people are presented with bare facts and statistics, they become further entrenched in their existing views. Timelines, videos, graphics, and animations are only a few of the methods that can convey information and experiences to the jury creatively. Retention rates have shown to increase significantly when information is presented in simultaneous listening and visual formats. We have an innate storytelling ability. We can bring your cases and evidence to life using the latest technological advances to concisely and effectively illustrate your clients’ stories to the jury. Storytelling has become as important to lawyering as legal analysis, logic and argumentation. Stories create compassion, understanding and empathy for the client which then allows you to convince and convert the jury to your favor. Telling a story and understanding technology are two vastly different skillsets. Combining these two elements while still understanding the rules of evidence is part of the competitive advantage CVisualEvidence brings to the courtroom. Because of our familiarity with the Rules of Evidence, we have frequently been able to modify and provide innovative solutions to ensure that demonstratives and trial exhibits, even last minute or after being rejected by the judge, are allowed and accepted into evidence. The best demonstrative that is ruled inadmissible does not serve either you or your client. Call us for a free, no obligation consultation and estimate. Follow CVisualEvidence and Receive Email Updates! 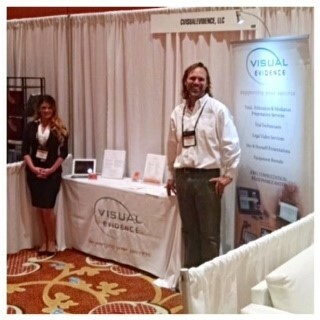 CAALA Annual Trade Show in Vegas, 2014. Wynn Hotel. Joe Barrett, 2015 #CAALA President with his lovely Wife. Jim Curio of CVisualEvidence with Joe Barrett, #CAALA's 2015 President. Keeping you up to date with the latest from CVisualEvidence LLC. Contact us for a free, no obligation consultation and estimate! We are available 24/7 to support your success.